One of many things I enjoyed so much in this trip was breakfast in our lanai. (Since there was no frying pan in our condo's kitchen), my improvised "milk pan" frittata became a regular item. 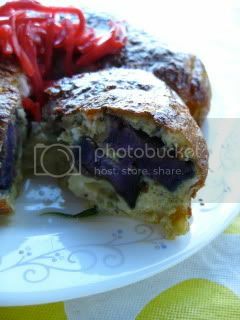 I cooked the eggs with the roasted sliced Maui purple yam. 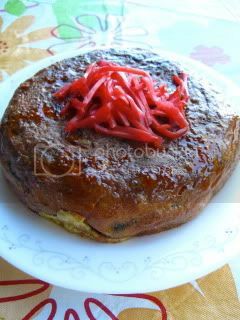 It was topped with some pickled ginger and served with a drizzle of la-yu. So tasty! For lunch, a couple of friends came over and I made more Ahi poke, etc. and we drank wine. It was such a nice relaxing lunch together. Then, we had more fish for dinner again. We got exactly the same fish as the previous night (mahi mahi and ono), but this time, I marinated in Soy-curry sauce for about 20 minutes before pan-frying the fish. It was incredible! So, here it is...my quick fish recipe. 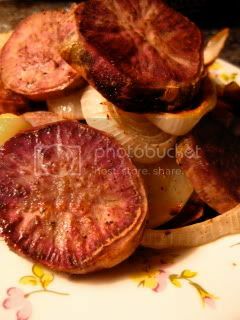 1. in a bowl, whisk together the soy sauce, sake, mirin, curry powder, cumin, ichimi pepper, garlic and ginger. Marinade the fish filets for 15-20 minutes. 2. 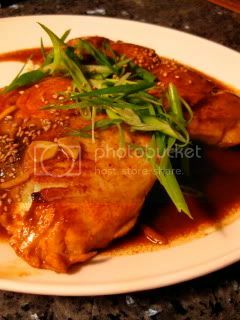 Heat the sesame oil in a pan, remove the fish from the marinade (save the marinade sauce) and sear both sides. 3. 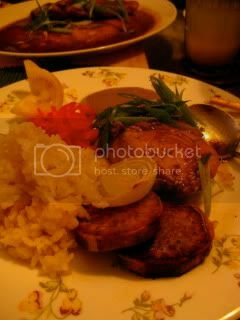 Once the fish filets are cooked through, transfer them to a serving plate. 4. Deglaze the pan with the reserved marinade sauce (including the garlic and ginger). Reduce down to thick consistency and pour over the fish. 5. Sprinkle some ground black pepper, scallion, and sesame seeds, and serve. Fish was served with some other "regular" dishes in this trip. 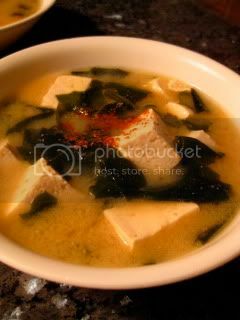 Miso soup (with Maui tofu), roasted Maui purple yam and Maui onion, etc. We've made the salad, sushi rice, and ahi poke again, too! Oh, Aloha Natto has also become our staple in this stay. 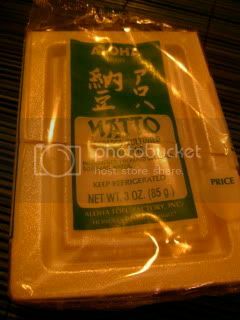 This locally-made natto is made from small soy beans and has the very nice flavor and texture. 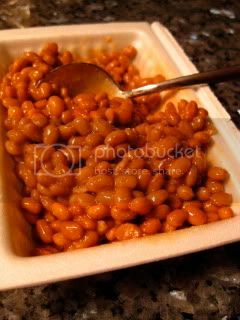 It's fermented, obviously, but the beans taste "fresh" and not tired. I totally fell in love with this natto! We enjoyed another serious "grinds"!